Professional monitor headphones for the most critical audio professionals. 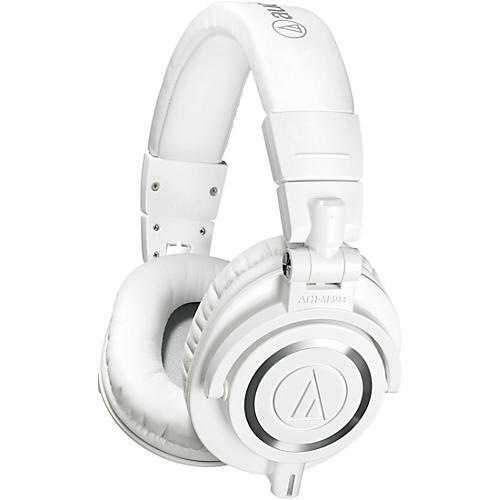 The ATH-Mx Series headphones are a reliable source for monitoring in home and professional studio environments. Because of the increased demand due to the popularity of the ATH-M50, Audio-Technica refreshed the entire line of these closed-back studio headphones for a redesigned feel. This is the most critically acclaimed model in the M-Series line, praised by top audio engineers and pro audio reviewers year after year. The ATH-M50x features the same coveted sonic signature, now with the added feature of a detachable cable. From the large aperture drivers, sound isolating earcups and robust construction, the M50x provides an unmatched experience for the most critical audio professionals.